The Human Rights Consortium, one of the applicants in a Northern Ireland based judicial review challenging the nature of the current Brexit process has welcomed the referral of devolved issues arising in the Northern Ireland case to the Supreme Court. The Consortium, a 160 plus member coalition of groups from across Northern Ireland, which has been leading a successful online crowdfunding campaign to pay for the legal costs of the appeal welcomed the publication of written submissions to the Supreme Court on behalf of the applicants in the case. (Available to download below). Director of the Consortium, Kevin Hanratty said, ‘The Consortium became involved in this legal case because we were deeply concerned about the risk that exists of entering into a process to withdraw from the EU without ensuring that important human rights protections, emanating from our membership of that Union, are first safeguarded. Those safeguards are important elements in the Northern Ireland peace process and need to be protected. 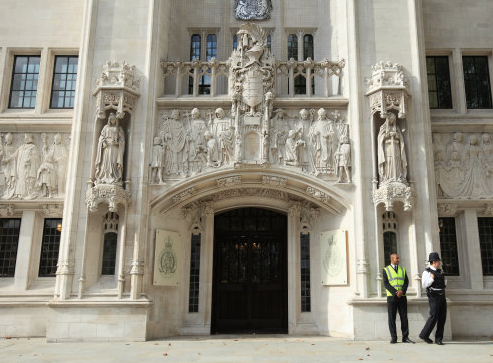 Our appeal continues to challenge the current Brexit process on questions of whether royal prerogative powers can replace the role of Parliament in triggering Article 50, whether the consent of the NI Assembly must be sought before any Parliamentary legislation is passed that would trigger our exit from the EU, whether Section 75 of the Northern Ireland Act 1998 prevents prerogative power being exercised if the NIO fails in its compliance duties under the section and a range of other grounds. We believe that inclusion of the Northern Ireland issues in the Supreme Court appeal with the other Brexit arguments is a very important development. It is imperative that Northern Ireland specific concerns relating to our particular circumstances are raised and argued at the highest court in the UK. This case was never about stopping Brexit but about ensuring that if Brexit does take place that it does so in a manner that is in keeping with current legal and constitutional protections and upholds the safeguards of our peace process.